simple dishes makes life so easy. This dish is one of that. very simple and looks healthy too. The chutney has a lovely color. And that would be essential for microwave cooking = to use tomatoes with the deep red colour. Looks so inviting. 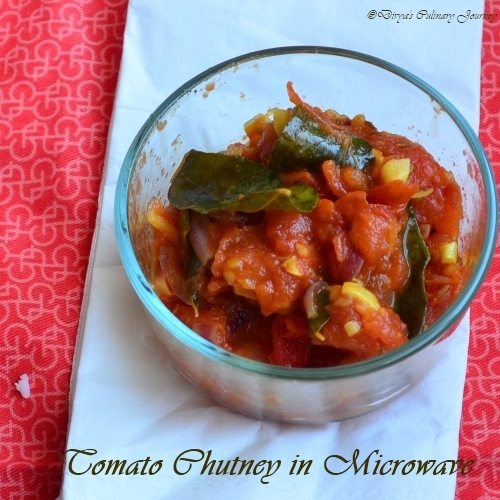 Delicious tomato chutney in microwave . very nice tomato rice. 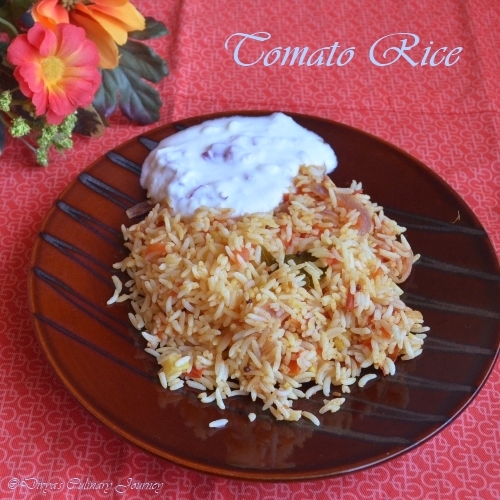 tomato rice looks delicious... nice idea..
Quick and delicious chutney..Love that flavourful tomato rice too. What a beautiful recipe... I can't wait to try making it in the microwave. 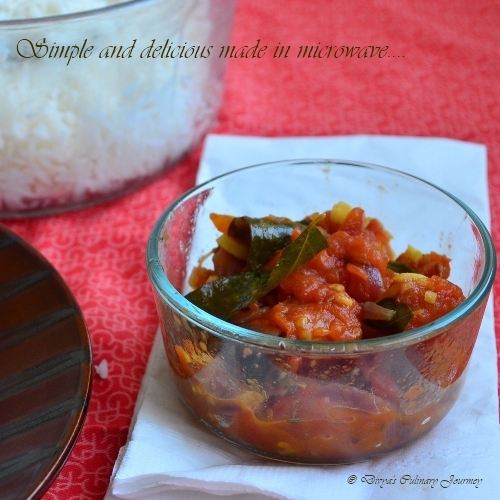 Simple way of doing things...nice...tomato chutney and rice is always every ones favorite.. Delicious preparation and loved the idea of using microwave...Really a quick way..